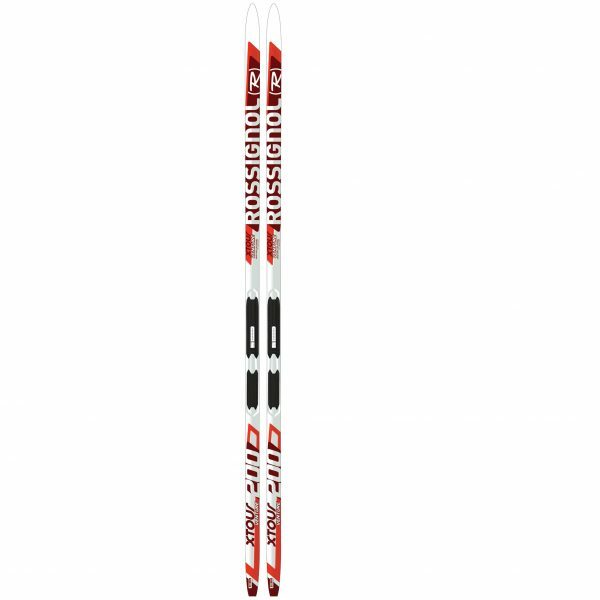 The XT VENTURE WAXLESS is an on-trail touring ski with a traditional X/C feel for active winter enthusiasts. Built with a sturdy Wood Air core for lightweight durability, traditional sizing for increased glide, and waxless AR Plus bases for a good blend of grip and glide with no prep. Compatible with the new Turnamic® binding system for the most natural ski flex and snow feel. WOOD AIR: Our WOOD AIR CORE construction offers durable off-trail performance with air channels for reduced weight. ACTIV CAP: Our ACTIVE CAP construction combines ROSSICAP and multi-directional fiberglass for a supple flex from tip to tail to glide over uneven terrain and increased torsional rigidity for enhanced control.